Maybe your organization is expanding its footprint by acquiring other organizations, or you want to further develop your relationships with providers or organizations in your community. Whatever your reason for pursuing a Community Connect program, you'll need a rock-solid strategy to ensure you understand pricing, timelines, and scope of services going in. 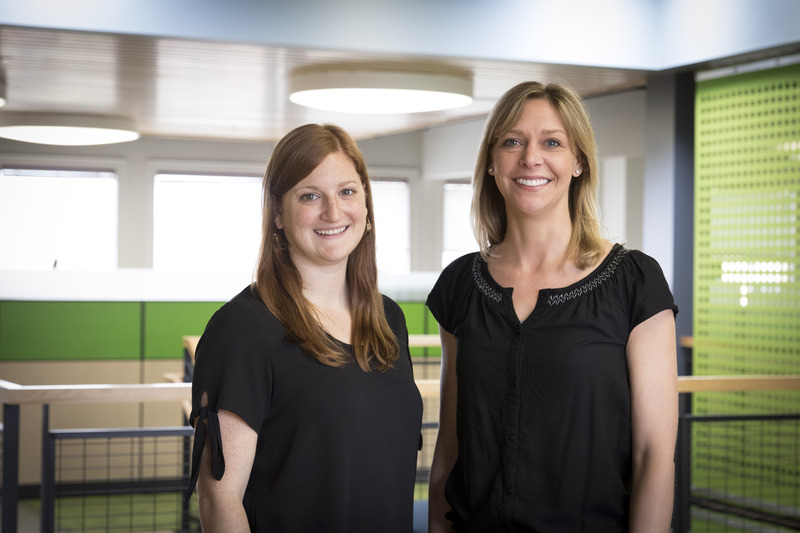 Lindsey Manzuk, implementation strategy director, and Lauren Piazza, director of Affiliate Solutions, sit down to talk about the tenets of a successful Community Connect strategy and their lessons learned from many extension projects. If you'd prefer to read rather than listen, the transcript is below. Lindsey Manzuk: Hi everyone, and thanks for joining today. My name's Lindsey Manzuk, and I am the implementation strategy director here at Nordic, and I am with Lauren Piazza, one of our directors of Affiliate Solutions. Hi Lauren. Lauren Piazza: Hi Lindsey. How are you doing today? Lindsey: Great. So today, we're going to talk a little bit about Community Connect program strategy. Lauren, maybe taking a step back, could you just level set with us, and remind us what Community Connect means? Lauren: Sure. Community Connect is Epic's methodology of extending your Epic instance to non-owned community providers. Lindsey: Great, thanks. And then why might an organization put together a Community Connect program? Lauren: Sure. Common themes that we see why clients put together a Community Connect program is because they want to expand their footprint, they want to further develop their relationships with community providers or organizations in their community. Obviously, the idea of having one shared patient record is a big draw to expanding to have a Community Connect program. Lindsey: Right, well thank you for that background. When you say Community Connect strategy, what does that mean? Lauren: Sure. In our Community Connect strategy projects, we create a framework for a comprehensive Community Connect program and provide guidance around developing policies and governance models necessary to stand up and sustain a successful Community Connect program. So part of that is really creating a repeatable process, and with that I kind of want to call out the caveat of a repeatable process is generally more outpatient focused. Lindsey: So on the inpatient side, do you typically see that every hospital is a little different, so you can't necessarily make more of a cookie cutter strategy that you then execute? Lauren: Exactly, depending on a hospital sites, what services they provide to the community, as well their size. It's really difficult to say, "This is our hospital Community Connect program." Lindsey: Makes sense. So, if an organization is looking to do outpatient Community Connect, why do we recommend that they actually undertake this sort of initial strategy portion before just diving in? Lauren: Sure. The biggest thing is really having a change in mindset for your organization. Being a Community Connect hub is now making you be the service provider, or a vendor. You're providing that service and that software to another organization. So, you really need to kind of be thinking about your SLAs, your service-level agreements, and being more customer focused and centric. Thinking along the lines of having a repeatable plan or process, it really helps you keep the cost down in an actual implementation part of your project. So, thinking about staffing considerations, how many people do we actually need in order to do this, and what are the timelines associated with that. Lindsey: Really, it's taking the time to understand what you're doing so then once you actually start, you can move more quickly overall? Lauren: Exactly. If you kind of compare it to making a recipe for the first time, you keep going back to that actual recipe and saying, "OK, when do I put in the salt, or add the pepper, add in the carrots to be sautéed?" If you make that recipe a couple times, you understand what happens when, and generally it turns out a little better than the first time you make it. Lindsey: Great. Then how do you typically work with customers when you're doing a Connect strategy engagement? Lauren: Sure. The first thing we generally do is have general education and kind of best practice sessions with stakeholders across IT as well as operations. We really want to make sure that everyone understands what Community Connect is. Once you're going live, you don't want your affiliate to ask someone, "Hey, what is this Community Connect thing?" And one of your team members say, "Oh, I have no idea." Probably not the best situation. So, we really like to do that as the first step. From there we really want to determine your organization's program goals and guiding principles, because this is what really just drives all decisions around your program that you're going to be creating. Lindsey: What about scoping, and pricing, and timelines? Lauren: Yeah, so another topic that we'll discuss is what services the organization would like to provide, so the scope around those services as well and the timelines associated. An example of that would be, would you as an organization want to supply support hardware for your affiliate? Do you have the resources to do that? Do you have the time? Is that something you'd even want to undertake? Lindsey: Great. As you've worked with customers in these sorts of engagements, where do you see they typically struggle? What are the toughest pieces? Lauren: Sure. I would say probably where they struggle the most is generally around the contracting piece. As you're developing your scope, you look at what third parties are we going to offer to our affiliates? Once you decide on "we want to offer them everything," now you need to price all of those third parties as well as start down the contracting process. Because potentially you may have to go to that third party and say, "We need a completely new contract for us as the hub organization as well." So, really kind of keeping those things in mind, and that just takes a lot of time. Another area that I'd like to call out is really making sure that your leadership group is engaged. They're the ones that are going to be the body that really drives the vision of Community Connect. So, making sure you that you have something online for the executive steering committee in place really helps facilitate moving through the process much faster. Lindsey: Great. You work with these customers, you do this visioning, you make all these decisions, and then what does the customer have when we end these engagements? Lauren: Sure. We generally focus on the deliverables that they'll have in their hand at the very end. Some examples of those would be the implementation timelines, what their scope offering would be, who is actually eligible as an affiliate to be part of this program, as well as program pricing. A lot of these documents are actually affiliate-facing in end product. So for example, the scope document, that's something that would be included in the legal contract. That would be what the affiliate signs, so they understand what exactly am I actually getting by signing up to be a Community Connect partner of yours? Lindsey: Mm-hmm. Then am I assuming correctly that we help them create these documents to match their program, but then customers often evolve these over time as either their program goals or focus areas change? Lauren: Exactly. A recommendation that we make is, kind of re-evaluate what your market stake is, what the area around you is doing in this space, to make sure that you're staying competitive, and you're still going to want to have folks join your program. I wouldn't say anything is a hard set, this is done situation, so those documents are constantly evolving and can be updated over time. Lindsey: Great. And then how long does this take? Lauren: There are a lot of factors in how long a typical Connect strategy engagement lasts. One of the things that we do is if you already have a Community Connect program live, we'll come in and do a free review of your business plan, current documentation, and cost model. From there, we can assess, "Hey, these are some of our recommendations, and this is where we can help you." If you're starting from scratch, we have our tools and templates that we can leverage to help through that process as well. The other factor is if you have that executive steering committee or leadership decision-making group established, that's something that will drive the project a decent amount faster, since that decision-making group is already established. The last item that I'd like to call out is if you already have a pipeline or a timeline of when you need to bring sites live, ready, at Nordic, I think we're pretty agile and can hit the ground running and be flexible with whatever our client's needs are around this area. If you say, "We need to have a site ready to go in three months," we'll work with you to really have a program, or at least the base of a program, established by then. Lindsey: Great. Thank you. It sounds like a lot of different factors and things to think about in areas we can help.